When you’re away from home, in a different country, is there a food you miss? Here in France I miss British sausages, a good quality Cumberland or Lincolnshire cooked until the skin starts to crisp and caramelise and served in a hot dog roll with fried onions, ketchup and mustard. Or on a nest of mashed potatoes with onion gravy and peas. 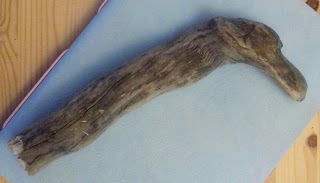 Or sliced into a sandwich of thick granary bread with brown sauce. Or cold the next day, snaffled from the fridge and eaten between the kitchen and whatever room I’m heading for. When I leave France I will miss their unsalted butter, beurre doux, that I like to spread onto French bread and eat without anything else at all so the delicate, creamy depth isn’t lost. Perhaps the only thing that doesn’t overpower it is a ripe summer grown coeur de boeuf tomato sprinkled with salt. And I will miss the bread. Is there anything you think you’ll miss so much that you pack it in your suitcase when you travel? My niece and her husband are coming to stay for a week with their two children, Ffion and Iwan who are 6 and 3. Ffion, perhaps like lots of kids, is suspicious of food she doesn’t recognise. She likes strawberries, Bolognese sauce (not too lumpy) with pasta spirals, and chicken dinners. The absence of gravy on her chicken horrifies her. 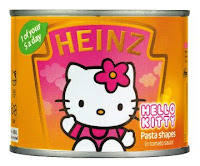 She asks her mother if she can take a supply of Heinz Hello Kitty Pasta. Iwan wanted to know if there were cucumbers and carrots in France. And fish fingers. 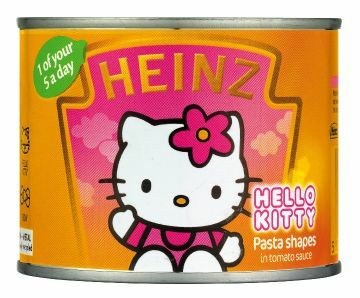 Today at the Carrefour Hypermarche, on the outskirts of Antibes, apart from the Hello Kitty Pasta which will have to be imported, I buy Rice Krispies, Weetabix, Cadbury’s mini chocolate fingers, Nesquick, Hello Kitty strawberry filled biscuits, and Captain Birdseye fish fingers. Except here he’s called Captain Iglo and the fingers are called batonnets. I want them to have everything that makes them happy this week, so their holiday is a mixture of the familiar and the new, the comforting and the surprising. That they sleep in strange beds but wake each day feeling at home. That they negotiate difference with ease. Thirty years ago when their mother, Sarah, was 3 years old I flew home four times a year from Jersey, where I was working as a currency dealer, to Cardiff. I remember her running towards me at the Arrivals gate, the pure joy in her face that only a young child can carry. When she first told me she was pregnant with Ffion I was on holiday in France. I read her email and burst into tears, startled and moved and confused that this little girl I knew and loved was having a child of her own. Is this how a mother might feel? I can’t say for sure as I’ve never wanted children of my own. Perhaps a mother would feel pride too. Perhaps a kind of contentment or assurance that family life was continuing in its most natural pattern. 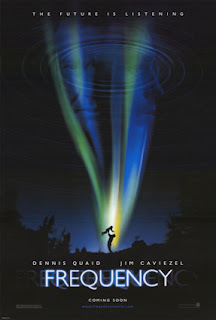 A few years ago, on a transatlantic flight, I watched the movie ‘Frequency’, with Dennis Quaid, in which an accidental cross-time radio link connects a father and son across 30 years. It’s a happy ending. His father doesn’t die. The family has a future together and the final scene shows the three generations together in a park, the continuity achieved. The ending struck me forcefully: I will never have that feeling of making a family, of seeing the children of my children grow up into their own lives. How closely love and loss sit next to each other. I love my life, but to love anything, or anyone, usually means having to acknowledge loss in some way, whether through sacrifice or acceptance. The little pieces of home that I love are flying into Nice at 6.15 tonight. I will be waiting for them. Write about someone eating something they don’t want to eat. Write about making a sacrifice.